Yesterday, I shared my experiences regarding the inverted classroom model (ICM) with a group of colleagues from Nordakademie. 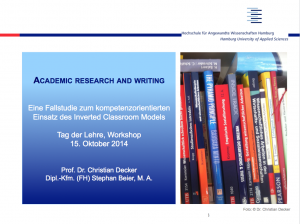 After an insightful introduction to the ICM from Simon Hachenberg, I reported on the implementation of the ICM in two of my courses: Finance (German language) and Academic research and writing (English language). Both courses form part of bachelor programs. Whereas I introduced the ICM in my Finance course by way of a “big bang” in 2013, I phased in the ICM in my course Academic research and writing between summer 2012 and summer 2016. A significant number of students prefer traditional types of instruction (e.g. lecture) because they are associated with a reduced workload in comparison to the ICM. 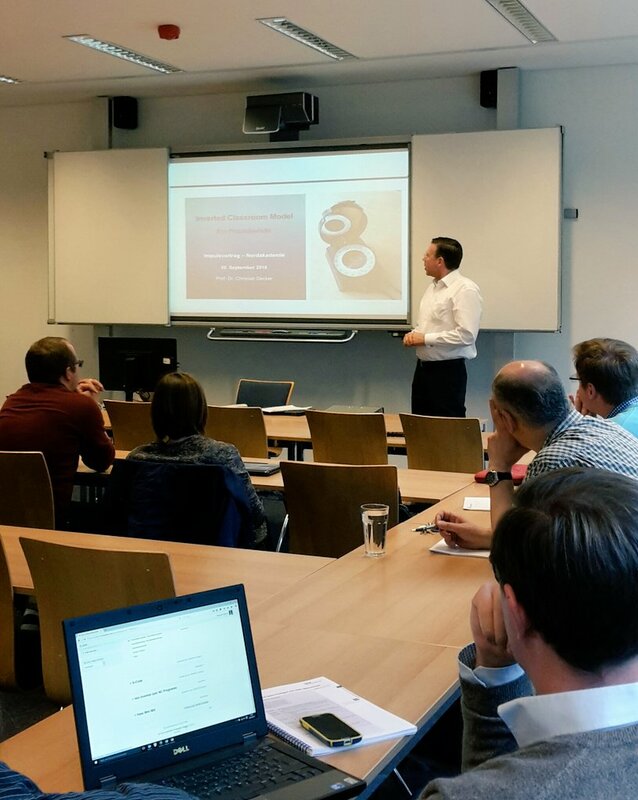 A signifikant number of students show deficiencies if it comes to self-organisation, i. e. time and project management. Reaction/advise: Strong guidance by way of pre-defined milestones and assignments as well as constant reminders by way of text messages and/or e-mails. Students prefer informal means of information exchange (Facebook, WhatsApp etc.) instead of a formal information exchange (e.g. message boards in LMS). Reaction/advise: Accept and keep using the formal channels! The attention span of “digital natives” is remarkably low. A (perceived) cognitive overload may lead to discontinuation or jumping within video tutorials. Students do not understand how to receive and how to reflect upon information from video tutorials. Reaction/advise: Explain and train how to work with video tutorials! Due to individual cognitive conditions and preferences, some students are not good at learning with videos. Reaction/advise: Create various access points to the content of the course (UDL)! Especially the last observation leaves room for a further development of the ICM. 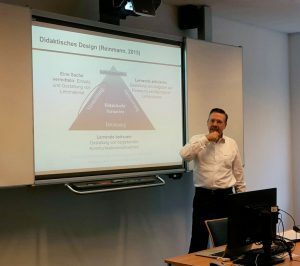 However, didactical designs based upon an UDL approach require a tremendous amount of resources in terms of time and money if they are individually developed by instructors and/or educational institutions. An alternative might be the use of OER (see for example my own course on academic research and writing) or the sourcing of commercially produced course materials, which might eventually even be cheaper. 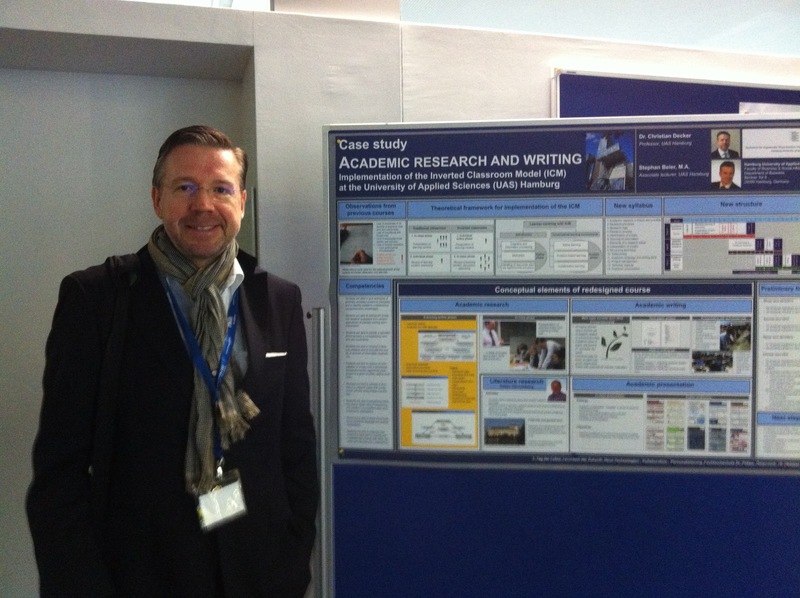 Yesterday, I presented my poster on the competency-based restructuring of one of my courses at an internal conference on “Competency-based teaching, learning and assessment” at Hamburg University of Applied Sciences (HAW Hamburg). 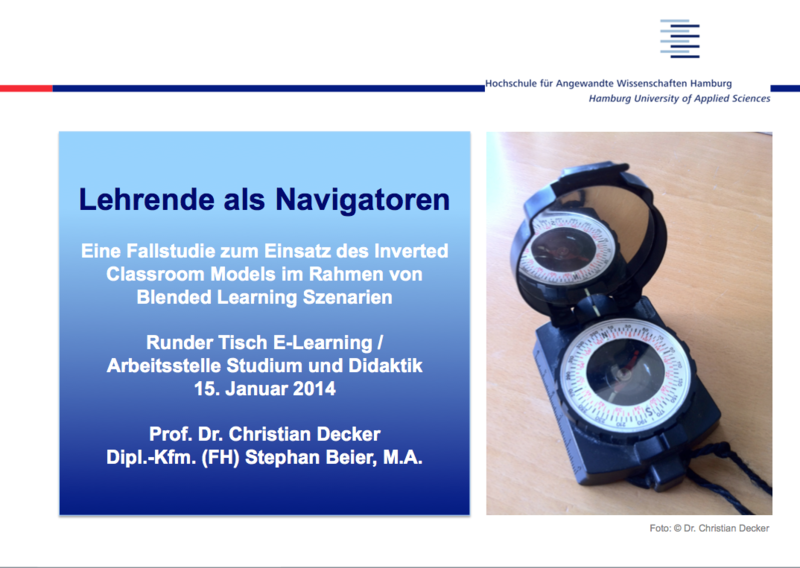 Again, Stephan Beier and I had a slot at the “Tag der Lehre 2014″ at HAW Hamburg. 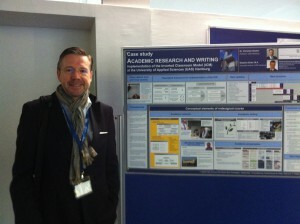 We presented a case study on how to align the concept of competency-based education with the inverted classroom model. @ Margitta Holler and Sabine Rasch: Thank you very much for the organisation!